CRUISE AT YOUR OWN PACE! 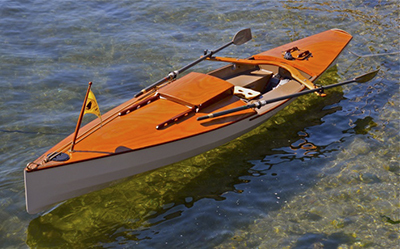 There’s an exciting new class of high-performance rowing boat from the drawing board of small-craft adventurer Colin Angus: The RowCruiser. This revolutionary 19-foot adventure craft will take you anywhere and everywhere in style, quickly and with comfortable sleep-aboard accommodations. Now, there is no need to drag your boat up a rocky beach, find a tolerable spot for your tent, fight mosquitos or run from bears: Just anchor your RowCruiser in a quiet cove and settle down for a restful sleep aboard your own rowing boat. Overall Length 18’-8-1/2” Overall Beam 46” Weight 148 lbs. Volume 147.6 c.f. Visit the RowCruiser message boar forum here. $1799.00 Price does not include tax or shipping. 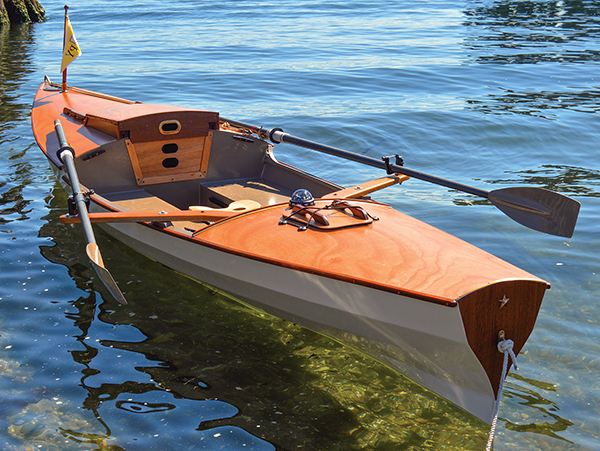 RowCruiser kit includes all plywood components (planks, bottom, bulkheads, cabin, decks, etc.). 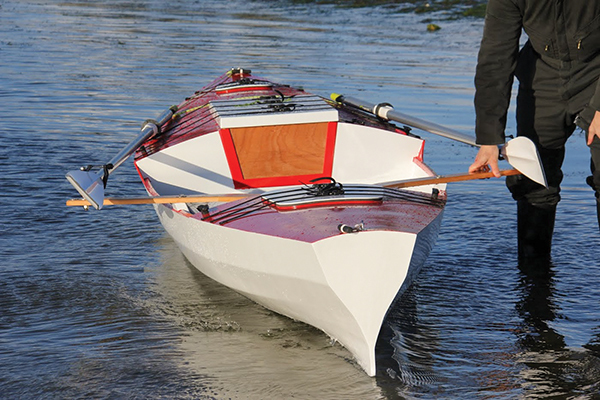 Epoxy, sandpaper, limited hardwood, fasteners, oars and sliding seat to be purchased separately. Kits use precision puzzle joints instead of labor-intensive scarfs. Kit price includes a builders manual (PDF).